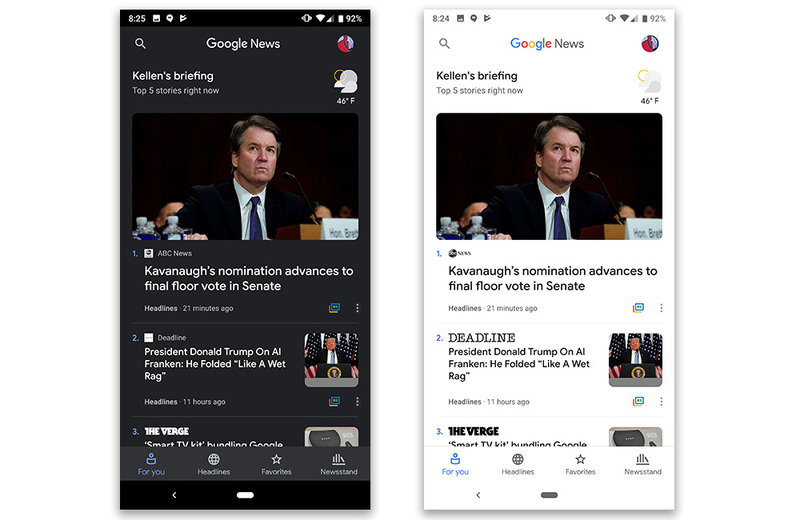 Google News Gets a Dark Theme! A Google News update began rolling out early this morning and it includes the setting we’ve been waiting for since it first arrived back in May. 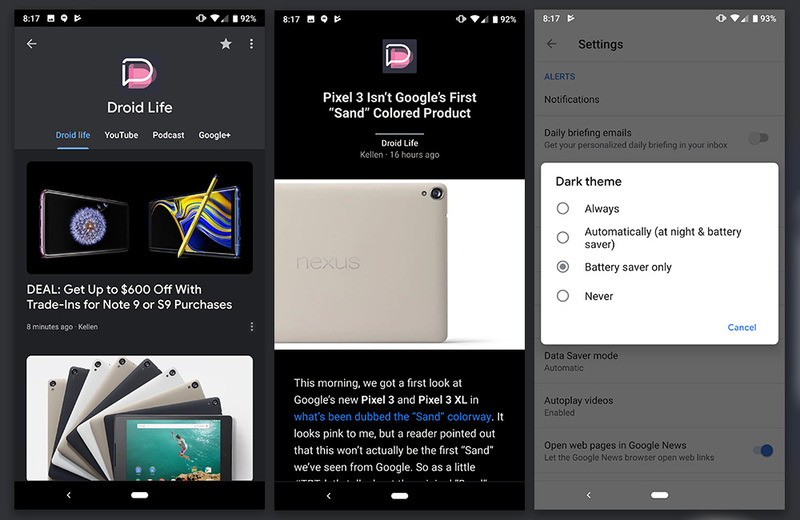 Yes, my friends, we have a Dark Theme in Google News! You can see the theme applied above. It does indeed turn everything dark, or in some instances, black. What’s cool here is that Google is giving you some control over when it shows up. You can have it always show, show automatically at nighty or when battery saver turns on, only when battery saver turns on, or leave it off.